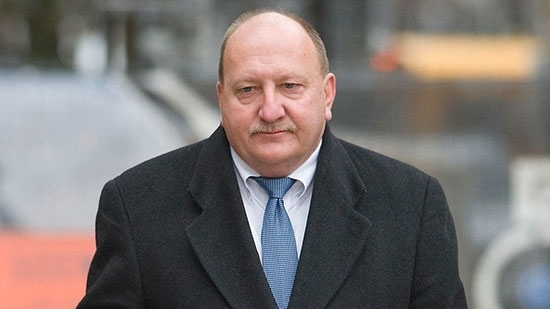 Former Allentown mayor Ed Pawlowski has been sentenced to 15 years in prison on a federal corruption conviction. 53-year-old Pawlowski was found guilty of dozens of corruption charges back in March. He was accused of trading city contracts for campaign contributions. Prosecutors had asked for a sentence of at least 13 years. The defense sought leniency and called more than a dozen character witnesses. Pawlowski was mayor of Allentown for 12 years. He won reelection last year while under indictment, started a fourth term in January, and resigned a week after he was convicted. He plans on appealing. The ATF Arson and Explosives task force along with Bristol Township authorities have been investigating a fire at a school and mosque in Bucks County on Monday, 10/22. The fire happened around 4:45 p.m. at the Isabet School and Mosque on the 5200 block of Emilie Road in Levittown. No one was injured in the fire. Bristol Township Fire Marshal Kevin Dippolito now says that the fire has been ruled an arson, no motive has been released. The building used to be the Immaculate Conception BVM School but was purchased by the United American Muslim Association of New York in 2016. No one was inside the school/mosque at the time. UPDATE: Three Muslim schools boys are being blamed for the fire. They are ages 10-14. The fire started in a second floor storage room containing paper towels. Detectives say this was not an anti-Muslim hate crime. Allentown police are investigating a video of a security guard knocking out a man outside of a nightclub over the weekend. It happened early Sunday morning, 10/21, outside The View on the 1100 block of Hamilton Street. The video shows a verbal disagreement between a group of club goers and a security guard in the street. The guard then walks up to one of the men, identified as 26-year-old Alex Renovales of Reading, and punches him once in the face. Renovales crumbled to the pavement. He suffered facial fractures and is recovering at the hospital. When police arrived, the altercation was over and witnesses were not cooperative. Cell phone video of the incident (see below) was put up on social media. Authorities are trying to identify the security guard involved. Allentown officials and neighbors say that this nightclub in particular has been a nuisance.